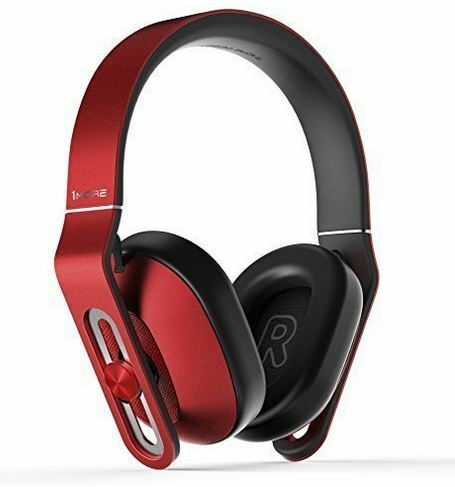 Well, we have one more 1More product to review, and instead of earbuds, we have the MK801 Over-Ear Headphones with In-Line Microphone and Remote. This one is for those who want to be more closed off with the music or audio content, as the over-ear headphone design blocks out the ambient noise. Yes, it is pretty good. by the way, the earcups rotate in four directions, allowing for maximum customization. The headband is made of some TR-90 titanium steel, and I am told that it has an ergonomic design plus made for the “stretching required for daily use”. I suppose that some stretching is going to happen when you use this, so use a very quality product, for gosh’s sake! It also has the dual-system in-line remote control, allowing for control on Apple and Android. Then that Grammy Award winning mixer Luca Bignardi, helped with the final tuning. About the only thing I can suggest for an improvement is to make it Bluetooth. That might be a product for another time. If you want this wired product now, it is available for about $79.99 on the 1More site and Amazon.